As one of the world’s top tourist destinations, the United Kingdom (UK) has no shortage of interesting things to see and do. England, Scotland, Wales, and Northern Ireland each have distinct histories and cultures, as well as their own major attractions. Which power outlets do they use in the UK? Type G outlets are used throughout England, Scotland, Wales, and Northern Ireland (see the picture). These sockets have three rectangular holes, including a ground. 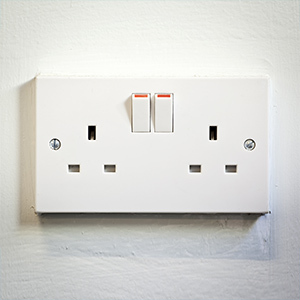 Outlets in the UK often have a small switch right above them that must be turned on in order for electricity to flow. Experts generally agree that Type G is by far the safest of all the kinds of sockets found around the world – a small price to pay for a little extra bulk. Outside of the UK, this outlet type pretty much only exists in former British colonies such as Hong Kong. Like the majority of countries, the frequency of the UK’s electrical grid is 50Hz. The standard voltage there is 230V, meaning appliances rated between 220 and 240V can be safely used without a voltage converter. What kind of power adapter do I need for the UK? If you’re making your first trip to London (or somewhere else in the UK), you’ll probably be asking, “What plug do I need for UK?” The outlets in the UK only work with one plug type, so if you’re from the US, you’ll definitely need an adapter for your trip. A US to UK power adapter will allow you to use American devices with British sockets. Fortunately, US and UK outlets look nothing alike, so you probably won’t make the mistake of trying to plug in an American device without a power adapter. 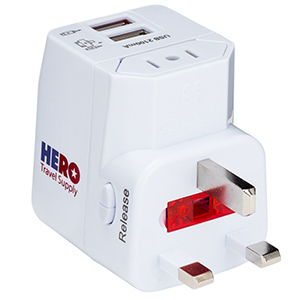 This Universal Adapter pictured is the one we recommend because it will charge your personal electronics in the UK and in over 100 other countries around the world. It also comes with a built-in fuse to save your devices from power surges. 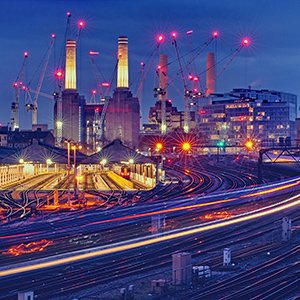 As one of the world’s wealthiest countries, the UK’s electrical infrastructure is among the best, and there aren’t any noticeable differences among England, Scotland, Wales, and Northern Ireland. Due to the strict regulations in place, electrical fires, surges, and shocks are uncommon. Outside of severe storms, power outages are rare throughout the country, including in rural areas. However, depending on the deal that’s ultimately reached, Brexit may bring increased blackouts to the UK in the near future, especially in Northern Ireland. Do I need a voltage converter for UK? You’ll need a US to UK voltage converter if you want to use devices that are rated below 220V; the other common range is 110V to 120V. In the US, devices in this range normally include irons, electric razors, hair dryers, and curling irons. Plugging these devices into a UK outlet without a transformer will most likely destroy them and may shock you or start a fire. If you aren’t sure whether a particular device needs a converter, check the tiny print on the plug. Another option is to buy dual-voltage devices, which have a button to switch between 110/120V and 220/240V. You can also order travel-sized versions of these devices that are rated at 220/240V or purchase new ones in the UK. Other UK packing list items you won’t want to forget! While the UK is generally quite safe, there are issues with pick-pocketing in some of the major cities. Instead of putting valuables in your pocket or carrying a handbag, store your cash, credit cards, and even phone in a neck wallet. A thief could easily reach into your pocket or bag, but they probably won’t be able to grab something that’s underneath your clothes. If you want to stay organized on the road, packing cubes will be a lifesaver. Instead of tossing everything in your suitcase or backpack individually, pack your clothes and other items into cubes. Use one for shirts, one for dresses, and so forth, and then put those in your main bag. It’ll be much easier to find what you need, and your bag won’t explode when you open it. If you’re using your phone as a camera or for maps while on your trip, you’ll definitely want to make sure it stays charged. Fortunately, all you need is a tiny portable charger, and you’ll be able to recharge it throughout the day, no outlet required. Charging cables are easy to forget, but they’re critical for a smooth trip. Whether you want to charge your phone with a traditional charger, a portable one, or the USB port on a plane or train, you’ll need to be able to plug it in. To be safe, bring an extra cord; it’ll be a real pain if the only one gets lost. If you’re really prone to it, avoiding jet lag can feel like a reason to avoid trans-oceanic flights, especially if the trip would be a short one. Instead of skipping your trip, bring some jet lag relief pills to help you adjust to the time difference quickly. Good VPNs like NordVPN aren’t only for tricking your Netflix account into giving you access while you’re out of the country. They’re also a security measure, protecting your data and private information from potential thieves. Taking extra precautions is especially important when you’re traveling and frequently using Wi-Fi connections in cafes, airports, and other public places. Travel insurance might not be a physical item to put in your bag, but it’s just as important – maybe even more so. If you fall sick or get into an accident and need to go to the doctor in the UK, you want to know that your medical expenses will be covered. Plus, travel insurance covers theft, trip interruption, and other emergencies. 1. When should I travel to the UK? Spring and fall are generally the best times of year to travel to the UK. Most of the country is relatively dry during these months (although it can rain anytime), and the temperatures are warm but not too hot. You’ll also avoid the higher prices and the crowds that come in the summer, especially if you go before May or after September. 2. What’s the weather like in the UK? The weather throughout most of the UK is fairly temperate, with average highs in the 60s during the summer and average lows in the 30s during the winter. In general, Scotland tends to be a bit cooler and receive more snow than the rest of the country. Heavy snowfall is usually limited to the mountainous areas, but cloudy, drizzly days are common almost everywhere. 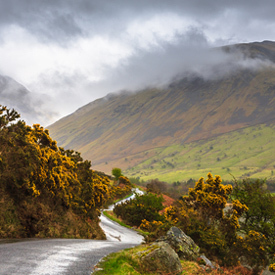 It rains year round in the UK, though the winter months are the wettest, and Scotland and Wales tend to see more rainfall than the other areas. 3. What are some fun things to do in London? A city of over eight million people and one of the world’s most beloved travel destinations, London has more than enough attractions to occupy visitors for weeks. Among the most iconic are, of course, Buckingham Palace and Big Ben, along with the Tower of London, Westminster Abbey, and the London Eye. For art and history, check out some of the city’s many museums, like the National Gallery, the British Museum, or the Victoria and Albert Museum. 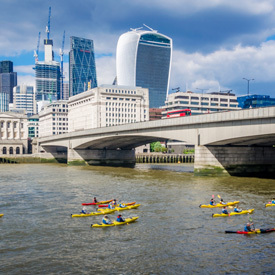 Explore the Thames by kayak or cruise, or just stroll along its banks, and take some time to wander through interesting neighborhoods like Camden, Soho, and Shoreditch. And for some green space, head to Hyde Park, Regent’s Park, or Hampstead Heath. 4. What should I see in the UK? The UK has many other cities to explore as well, including Bristol, Brighton, Liverpool, Edinburgh, and Glasgow. Beyond these major metropolises, there’s also the Canterbury Cathedral, the Roman baths in Bath, the White Cliffs of Dover, the ten-mile-long Lake Windermere, and, of course, the mysterious Stonehenge. Or, plan your visit around seeing the country’s many, many castles; some of the most impressive include Alnwick Castle, Edinburgh Castle, Carlisle Castle, Durham Castle, and Leeds Castle. There’s also fantastic hiking throughout the country; if you’re up for the challenge, tackle the 96-mile West Highland Way, an iconic thru-hike in Scotland. 5. 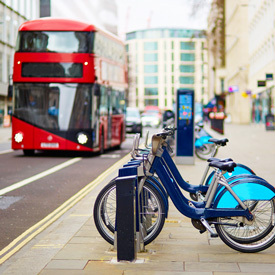 How’s the best way to get around in the UK? London is famous for the Tube, which, along with its extensive bus routes, connects most of the city. Many of the UK’s other metropolitan areas also have well-developed public transportation systems, and Uber is also available in most towns as well. For intra-city travel, Britain is well-connected by train, and Northern Ireland has its own rail system. Numerous different train companies operate throughout Britain, but information for all of them is available at National Rail. Long-distance buses connect the country as well, offering a cheaper (but slower) option than the train. A road trip is also a great way to explore, and renting a car in the UK is fairly easy, although it can be costly. If you’re really in a hurry, cheap flights connect the country’s major cities.